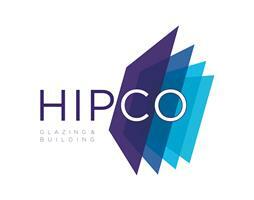 Hipco Yorkshire Ltd - Fascia/Soffits/Guttering, Windows/Doors/Conservatories based in Garforth, West Yorkshire. Hipco can open doors for you – literally! With our fresh approach to home improvement, feel confident in leaving the hard work to us. All of our customers are treated as individuals, so whether you just need one small window to replace that old drafty one in the hall, or you are investing in a stylish new extension – we will deliver efficiently, keeping a close eye on the details so you don’t have to. Having worked for industry leading companies in Yorkshire for over 20 years, Dave, Reg and Russ have a wealth of experience, knowledge and skills and being an independent company, we have the freedom to select the best possible suppliers in order to fulfil bespoke projects for our customers. We chose our suppliers for no other reason than they are the best for what your project needs. And that means quality and value too. Our success is built on our service - you can expect the best from Hipco Yorkshire Ltd! We are pleased to inform you that we have 0% finance available! Subject to credit check, terms and conditions apply.